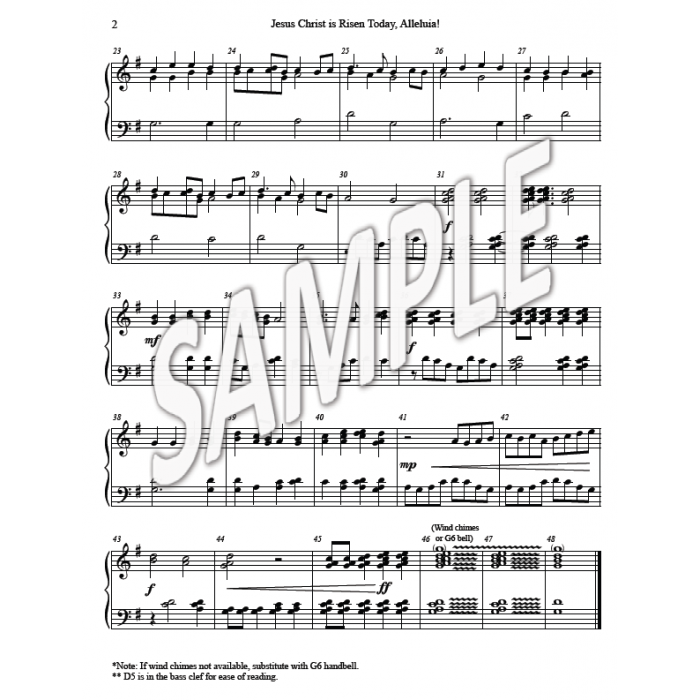 Medley arrangement of two Easter tunes for handbells (2 octaves, 10 or 11 bells used) and wind chimes. If wind chimes not available, use G6 bell to substitute. D5 is in the bass clef for ease of reading. 2 pages. 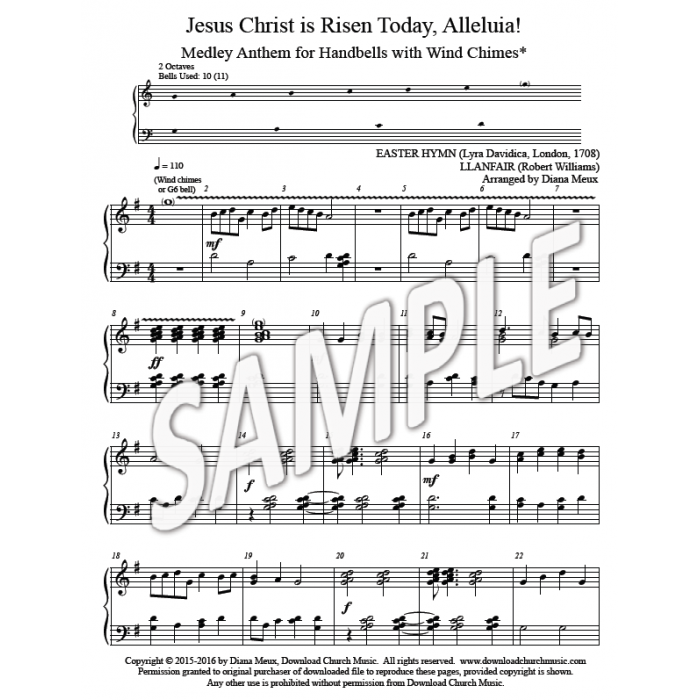 Tunes used: EASTER HYMN (Lyra Davidica, London, 1708) and LLANFAIR (Robert Williams). Anthem 2 pages. 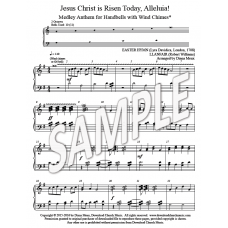 Medley of two Easter tunes.